LOUISVILLE, Ky. (July 31, 2015) – On Wednesday, August 5, 2015, from 11am-3pm, Trinity Video Communications, along with representatives from Greater Louisville, Inc. and the Jeffersontown Chamber of Commerce, will celebrate Trinity Video’s corporate relocation with a Ribbon-Cutting and Open House event. The event will be hosted at Trinity Video’s new offices, located at 11003 Bluegrass Parkway, Suite 600, Louisville, KY 40299. The Ribbon-Cutting is scheduled for 12noon. 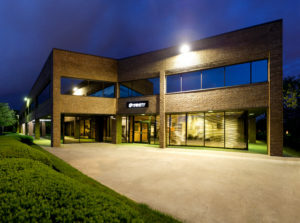 The new space improves the company’s project engineering capabilities and provides the additional space needed to support future growth plans. This announcement follows Trinity Video’s recent expansion into Tennessee earlier this year, and entry into the Ohio market in late 2014. 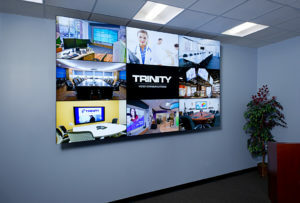 Trinity Video Communications provides state-of-the-art audiovisual and video communications solutions to large corporations and healthcare organizations to transform the way they communicate and collaborate. Trinity Video also provides real-time unified communications to government agencies including the Department of Justice, Department of Defense, and law enforcement agencies at the federal, state and local levels responsible for mission critical initiatives. The company specializes in custom room design and systems integration for executive conference rooms, huddle rooms, classrooms, worship centers, and command and control centers, as well as unified communications, telemedicine solutions, Bring Your Own Device (BYOD) videoconferencing, digital signage, and streaming video.